Preheat oven to 350 degrees F. Fill a large plastic zip-closure baggie with 2 cups of cornflakes. Using a rolling pin, crush cornflakes. Open bag and drop in a chicken leg, then close the bag and shake the bag until the chicken leg is covered with cornflake crumbs. Repeat for each chicken leg. Discard any leftover cornflake crumbs. Spray a large cookie sheet with cooking oil and arrange chicken legs on cookie sheet. Bake, uncovered, in oven at 350 degrees F for one hour. Delicious, juicy, crunchy, and a touch of sweetness! No blogger should ever be without business cards. For that matter, no business-person should ever be without business cards. The trick to making a business card work for you is to create a high-quality, eye-catching design that people like so much, they won't want to throw it away. GrandstandStore.com is my choice for business cards! They worked with me every step of the way, from my first uploaded idea, through several edits, to the final approved business card, and they even followed up after shipping to make sure I was satisfied. Since I prefer a fairly simple design, their design experts were able to give my card a bit more flair while still staying true to my personal preferences. They were professional, helpful, and responded quickly to me throughout the entire process. My business card order arrived quickly and upon opening the package, I was immediately impressed at the high quality, glossy cardstock of my cards. My business cards look and feel very professional, with a dash of fun mixed into the design (exactly the impression I want others to perceive about my blog). Although I chose to print on just one side of the card, with a single color on the back, they are happy to print two-sided cards. My business cards are beautiful and I'm proud to give them out. They also print a wide variety of custom badges, brochures, posters, admission tickets, wristbands and much more. I highly recommend GrandstandStore.com for business cards! Shop for your business and personal printing needs at www.grandstandstore.com and be sure to follow them on Facebook and Twitter too! They offer a price-match guarantee and free shipping to 48 US states. Check out their site today! When my feet are comfortable, life is just better. Sanuk has just released a line of fashionable sandals called Yoga Slingshot Prints. The footbeds are made from real yoga mat material with a sponge rubber outsole. The straps are a lightweight, two-way stretch knit fabric, and the sling strap construction allows for perfect fit and unbelievable comfort. My Yoga Slingshots slip easily and comfortably onto my feet, stretching just enough to mold perfectly around my foot shape. The softness of the material means the straps don't rub against my skin at all, even between my toes. The side post straps can also be moved forward or backward on the top sling strap. They are even vegan and vegetarian, if that is important to you. My feet have never been so comfortable in a pair of sandals. I absolutely love my Yoga Slingshot sandals! I can walk around all day in these sandals and they are as comfortable in the twelfth hour as they are in the first hour. I will definitely be buying at least one more pair of these in another color! Finding a totally comfortable shoe can be such a challenge, so I want to make sure I have my own collection of these sandals. This stylish design comes in four fantastic prints. The Cheetah print sandals (which I'm wearing) is a tan and brown print with tan accent wrap. The Grey Snake print combines grey and light gray with a black accent wrap. Natural Snake colors include gray on tan with a tan accent wrap, and the Zebra Yoga Slingshots are black and off-white with an off-white accent wrap. They also come in single colors of Black, Indigo, and Natural. In addition, Sanuk offers several similar styles in different colors and prints. Check out all the fabulous sandals and shoes at www.sanuk.com. They have lots of styles for women, men, and children. You can also find great gear like shirts, hats, phone cases and more. They have free shipping for orders over $35 and free returns. "Sanuk" is the Thai word for fun and happiness, and that is also the company mantra. If you’ve ever thought about trying out a five-day meal plan, you may be wondering if it’s worth the time it takes to create a weeklong regimen. Whether you create your own or reference a pre-made plan online, there are many great benefits of sticking to five days of thought-out dishes. Here are some of the best reasons to try a five-day meal plan. Whether you make your own meal plan or use a handy online platform like http://www.cabotcheese.com to get healthy recipe ideas, you can use it to set and reach health goals for the week, month, or year. For example, some pre-made meal plans are designed for gluten-free diets. If you’re new to the lifestyle, you can reference a gluten-free meal plan to set up five days of tasty and nutritious dishes that meet the diet requirements. It takes little to no thinking on your part. Other meal plans are set up specifically for the active runner. You’ll find these meal plans call for higher calorie and protein consumption to supplement your exercise regimen and keep your body running at its best. There are also organized five-day meal plans for nutritious eating, lactose-free diets, and heart health among many more. One of the best advantages of planning out your meals for five days is that it sets you up for health success for the entire week. If you already have a list of foods and meals prepared at the beginning of the week, for example, you’re more likely to eat healthy throughout the week. This is due to two reasons. Firstly, when you plan your meals ahead of time, you don’t need to resort to going out to eat or ordering delivery during the week. This keeps you healthy since fast foods are known for their poor nutrition. Additionally, planning meals lets you see exactly what you’re consuming throughout the week so you can identify if you have too much or not enough of some nutrients. Although meal planning can seem like a time-consuming practice up front, it ends up saving a significant amount of time throughout the week. When you see exactly which groceries you need for the week, you never have to take any surprise or last-minute trips to the store. Spend one morning setting up a meal plan following by grocery shopping and you are set for the week. You won’t waste any time on busy weeknights wondering what to have for dinner or scouring the Internet for recipes. If you want to move even faster, you can already find a variety of pre-planned five-day meals online. You can search by your specific health goals to generate a list of healthy meals for the week. A five-day meal plan also saves a serious chunk of change in the big picture. If you go to the grocery store without a specific list, you may end up buying all kinds of items that are either unhealthy or end up being thrown away. Head to the grocery store with a thorough list of things you need for the week and none of them will go to waste. 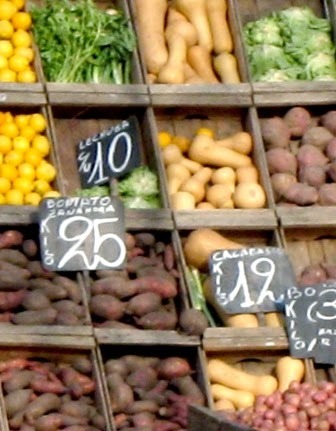 You’ll throw away much less food and money by sticking to the pre-planned list. These are just some of the best advantages of using a five-day meal plan. I am SO excited to share the Tribest Mason Jar Personal Blender with you! This is the most unique and most fun small appliance I've ever used. It comes with the blender base and an assortment of mason jars, blender cups, blades, and lids. Everything in the kit is interchangeable. I love to make smoothies, but I really hate my regular kitchen blender. It's so big and bulky, plus the cleanup time is insane. The Mason Jar Blender is compact and so easy to clean. In less than a minute, I can create a smoothie sized just for me. All I have to do is add a liquid and some fruit, screw the blade lid onto the blender cup, flip it upside down, and press it onto the blender base. The Mason Jar Blender is not just for smoothies. The user booklet includes directions and delicious recipes for making salsas, soups, sorbets, sauce, and baby food (for my "someday" grandchildren). It grinds up ice and frozen fruit easily. The motor is 200W / 110V and the blades can even grind dry ingredients like coffee beans, grains, herbs, nuts, and flax. My first recipe in my new Mason Jar Blender was a Blueberry Orange Smoothie. I blended a cup of orange juice and two spoonfuls of frozen blueberries into a creamy, frothy, delicious drink in 45 seconds. It's so easy and so much fun to use! This is going to be fabulous with all the spring and summer fruit selections, and everyone can create their own smoothie combinations with their favorites. I LOVE this blender and I wholeheartedly recommend the Tribest Mason Jar Personal Blender. I will be using mine every day! Go get yours now at www.tribestlife.com! My husband, David, was inspired to start Children of Fallen Patriots Foundation after his combat experience in Panama in 1989 during Operation Just Cause. Sgt. William Gibbs, only 21 years old, was serving in my husband's unit when he was killed just five days before Christmas. Sgt. Gibbs left behind a young wife who gave birth to their first child three months after his death. My husband did not know Sgt. Gibbs but was deeply struck by this tragedy and always wanted to do something to help children like Sgt. Gibbs' daughter. In 2000, David came up with the idea of Children of Fallen Patriots Foundation (fallenpatriots.org). Our mission is to ensure a college education and educational counseling for military children who lose a parent in the line of duty. I have the honor of serving as the Programs Director of Fallen Patriots, and David and I continue to serve on a volunteer basis. Neither of us has ever taken a salary from the foundation. Initially, my passion for Fallen Patriots was driven mainly by my desire to support my husband. My parents were small-business owners. My father was a dental technician (trained in the U.S. Navy) and my mother supported him in the startup and sustainment of their dental laboratory in Norfolk, Va. Through her sacrifice and dedication, my mother instilled the value of supporting one’s husband in me. She showed me how important it was for my husband to have someone on his team he knew he could trust.....who better than his wife! Even though I knew I should support my husband, initially I was a bit resentful. When David made the decision to start Fallen Patriots, I had just given birth to our second son, and our older son was only two. Finances were tight. We had to use our personal funds to start the foundation and David took a lot of time away from our family in order to get the foundation started. I thought his idea was crazy and that the dream of Fallen Patriots would eventually fade away. Despite this I supported my husband by caring for our babies around the clock so when he came home from work he could spend time focusing on creating his dream. I'm so glad I did. This article was published for Swap.com Kids' Consignment. All opinions expressed are solely my own. Children grow so quickly and keeping them clothed can be a constant drain on the family budget. 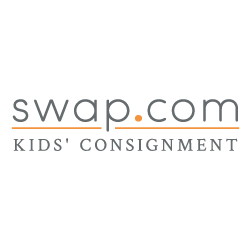 Swap.com is an online kids’ consignment store that offers a better overall buying experience than both eBay and Craigslist. Their inventory of over 60,000 pre-owned items includes baby clothes, kids’ clothes, baby gear, toys, games, movies, video games and even maternity clothes. All the items are owned and priced by the sellers, but Swap.com takes all the anxiety out of buying kids’ pre-owned clothes online by handling all the inspection, quality grading, photography, storage, and shipping at their fulfillment center in Addison, IL. Since early 2013, parents have discovered that Swap.com is more convenient, more affordable, and more trustworthy than eBay and Craigslist, and certainly much more enjoyable than lugging kids around all day to garage sales! Shopping on Swap.com offers a similar buying experience to shopping on Amazon, in that items from multiple sellers can be combined into one shopping cart, which saves shoppers on shipping costs. New customers get FREE shipping on their first purchase and everyone gets free shipping for every order over $50. Let’s talk about prices! Children's items on Swap.com are 50-95% off retail prices to ensure a great bargain every time. All orders ship within one business day too! To make shopping even more stress-free, Swap.com has a 100% hassle-free refund policy, so you can return any item for any reason and get your money back. You can’t get that on Craigslist! Swap.com eliminates worry about fraud too. Their professional merchandisers inspect every item to determine its quality. 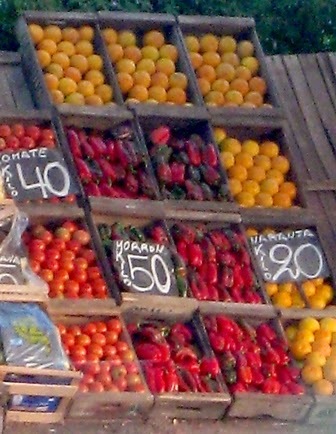 Descriptions of items are objectively written to ensure fairness to both sellers and shoppers. You’ll know upfront if an item is like new, new with tags, good condition, or fair condition. If you’ve ever shopped on eBay or Craigslist, you know that sellers often inflate both the quality and price on their items. Another problem I’ve run into on those other sites is that the item listed is not actually the item for sale. When you shop at Swap.com you get exactly the items you want, at a price you can afford, and a pleasant stress-free shopping experience! Check out Swap.com today for great bargains on kids’ stuff, while saving your money and your sanity! Beginning Today, Visit Omaze.com/StarWars to Enter for a Chance to Win! Today in a special video message from the set of Star Wars: Episode VII, director J.J. Abrams announced the creation of Star Wars: Force for Change, a brand new Star Wars initiative from Disney and Lucasfilm in collaboration with Bad Robot dedicated to finding creative solutions to some of the world’s biggest problems. The first Star Wars: Force for Change campaign will raise funds and awareness for the United Nations Children’s Fund’s (UNICEF) Innovation Labs and its innovative programs that are benefitting the world’s most vulnerable children. Disney has committed US $1 million to support the launch of Star Wars: Force for Change. Fans can now contribute directly at Omaze.com/StarWars for a chance to appear in Star Wars: Episode VII. For each $10 contribution made through the Omaze fundraising platform, eligible participants will be automatically entered for a chance to win this once-in-a-lifetime experience. The campaign runs from 12:01am PST on May 21st until 11:59pm PST July 18th. Visit StarWars.com/ForceForChange to learn more about this newcharitable initiative and the work of UNICEF’s Innovation Labs and programs, and be sure to enter through contribution or free entry for your chance to win at Omaze.com/StarWars. No matter where I travel, I take along my mp3 so I can block out noise and listen to my music without bothering anyone else. I recently received the SOL REPUBLIC Jax In-Ear Headphones for review and these little things are awesome! Available in two styles (one-button or three-button) and in over a dozen great colors, Jax headphones are wonderfully stylish and deliver a powerful, high quality sound using i2 sound engines. They are designed to be compatible with most recent Apple, Android, Blackberry and Windows devices including phones, mp3's and tablets. Also included is a little baggie of interchangeable ear tips so users can choose the size that fits their ears best. Jax has something that none of my other in-ear headphones offer. On the cable cord, there is a remote button that allows me to click once to pause and again to resume play. I can also click the button twice quickly to track forward, or click the button three times to track backward. If I'm using my phone to listen to my music, I can click the remote button to answer an incoming call and click again to hang up and resume music play. If I want to decline a call, I can hold the button down for a few seconds. Clicking twice while using my phone allows me to use call waiting too! The remote button even includes a built-in high clarity mic for phone calls and it captures every word of a phone call. One of my biggest pet peeves of headphones is a tangled cord, but the Jax cable is wide and flat to prevent tangling. Jax headphones are a wonderful gift idea for Father's Day! Choose Dad's favorite color and be sure to show him all the wonderful features of the remote button. You can even get FREE shipping in 48 US states! Shop now at www.solrepublic.com. Be sure to connect with them on Facebook and Twitter, then enter below to win your choice of any color Jax In-Ear One-Button Headphones! Win a pair of Jax Headphones! To enter, just fill in the Rafflecopter form below. Only the first entry is mandatory; bonus entries increase your chance to win. Open to US residents ages 18+. 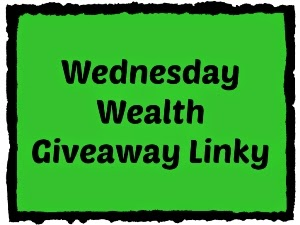 Giveaway ends at midnight on 6/15/2014. Good luck! One thing I've learned while traveling, is that the quality of my luggage is a priority. Traveling can be hard on luggage, especially when someone else is handling it. Just think of all those airline luggage handlers who toss this stuff around all day long. A traveler's luggage gets thrown onto a conveyer belt, heads back to a cart, and onto another conveyer belt, all while rubbing against other suitcases and metal transport edges. Poor-quality suitcases just can't stand up to that and it often results in torn clothing, broken cameras, and leaking shampoo. I once had a suitcase so badly damaged that half my clothes disappeared. If you're looking for reliable luggage that won't break down during your travels, check out Atlantic Luggage! Their versatile, lightweight, affordable luggage is favored by fashion-conscious females who want it all: style, function, quality and value. Smart travelers have been choosing Atlantic Luggage since 1919. One of several collections, the Atlantic Lumina luggage combines a luxurious satin look and feel to hardside luggage. These beautiful pieces have a unique polyurethane finish over a sculpted hard shell, giving travelers superior strength. Lumina luggage features a dual-wheel spinner system which allows for optimum manueverability. Beautiful, durable, lightweight and affordable...what else would you want? How about this...the collection even offers a ten-year warranty! Atlantic Luggage is now offering you the chance to win a family trip for 4 too! One lucky winner could win a family vacation to the destination of their choice - Los Angeles, CA or Washington, DC - including airfare for four, hotel accommodations, a $300 activity allowance, and four pieces of fabulous Atlantic Luggage. Enter here for your chance to win a family trip for 4. I'm going to enter because I'd love to visit Los Angeles and walk down Hollywood Boulevard. Where would YOU go if you were lucky enough to win this fabulous family vacation? What's on your list of items that you always need to carry? For me, there's my phone, my driver's license, my keys, my lip balm, and a bit of cash. There are many times that I just don't want to carry a purse around with me. Cap-Sac is a new twist on the old fanny-pack idea, but in a baseball cap! I can keep the sun out of my eyes and off my face, plus store all my must-have items in the handy zippered pocket of the Cap-Sac. It's a great idea for amusement parks, camping trips, sporting events, and a day at the lake or beach. It's even the perfect solution for me when I'm walking our dog around the neighborhood. Cap-Sac is available in a variety of fashionable colors and designs, and in sizes for adults and children. Each one is made of a soft nylon with a flexible bill and a velcro-style strap to adjust for head-size. I've found that Cap-Sac is very lightweight and comfortable to wear, and is a convenient and stylish way for me to carry my necessities while still being hands-free. Where would you wear your Cap-Sac? Are you ready for summer? Let's make some changes and have the best summer ever! Puritan’s Pride began over 40 years ago, with the mission of making the finest quality nutritional supplements available at the best value to their customers. Today, the company remains true to its original commitment and serves millions of loyal customers. Puritan’s Pride manufactures thousands of vitamins, minerals, herbs and other nutritional supplements in their state-of-the art facilities located throughout the U.S. As part of the company’s commitment to quality, Puritan’s Pride only uses ingredients from suppliers worldwide that meet their Quality Assurance Standards, as well as Good Manufacturing Practices food quality standards. Aloe Vera Gel 99%: Aloe Vera is known for its ability to aid in dryness and help nourish the skin. This formula softly moisturizes and revitalizes the skin, leaving it fresh and supple. Organic Doctor Vitamin E Lip Balm: Rich Vitamin E is designed to penetrate and moisturize the driest of skin, giving instant conditioning while helping to maintain elasticity. Together, with selected bioactive shea butter, the effect will be noticeably hydrated lips. Product is free from SLS, parabens, artificial colors, phthalates and preservatives. I've been using these five products for the last month. I can conclude the Green Coffee Bean Extract, Super Strength Myo-Leptin™ CLA, and Super Citrimax® Garcinia Cambogia are making a positive difference in my health because I feel great and I've lost 7 pounds. I love the Aloe Vera Gel and it came in very handy after I got slightly sunburned on the last cruise. I have always used lip balm daily and I've found I prefer the Vitamin E Lip Balm over my old brand. I recommend Puritan's Pride products! 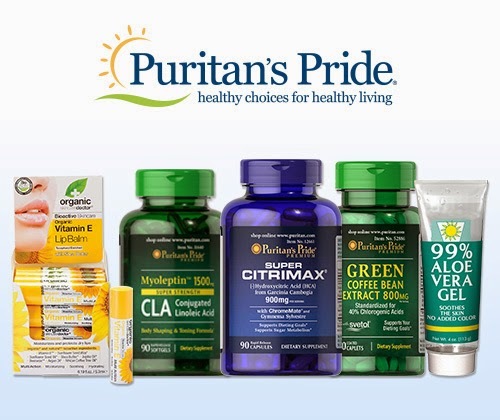 Win a Puritan's Pride Summer-Ready Gift Pack! One winner will receive a gift pack of all five of these fantastic products. 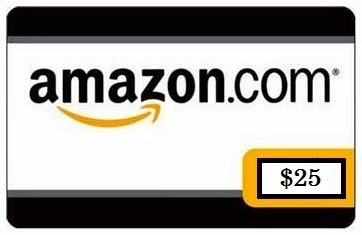 To enter, fill in the Rafflecopter form below. Only the first entry is mandatory; bonus entries increase your chance to win. Giveaway ends at midnight on 6/15/2014. Open to US residents ages 18 and older. Good luck! If you want to plan your trip with as little hassle as possible, it may be a good idea to work with a travel agent. They can plan out all of the little details for you, putting together a package that you are going to love and ensuring that the trip gives you everything that you want. They save you a lot of time, and they can even save you money since they may be able to find accommodations or flights that cost less than the ones that you would find on your own. However, there are some important things to tell them about your trip before you leave. Start by explaining to the travel agent what your goal is for the trip. Is it a vacation where you just want to do nothing but relax? Is it a trip that you want to use to discover another country or another culture? Are you looking for something with a lot of adventure and fun, or do you just want it to be low-key so that you can unwind? When the agent knows what you want to get out of it, they can then plan a trip that matches up with your desires. What is on your list of must-haves for your accommodations? Do you want to be near the coast, with a great view of the water? Do you need to have a place with an indoor or an outdoor pool? Do you want all of your meals to be included? These are just a few of the things to keep in mind. Make sure that the agent knows what things you would be disappointed to miss out on so that he or she can make sure that you get them. Of course, you also have to tell the agent some of the basic details about your trip, such as when you can leave and when you need to return. This simply helps them book everything to match your schedule. If there are any time constraints on the travels days themselves, let the agent know about that as well. For example, maybe you want to work on Friday before you leave, so you need a flight that leaves sometime after five. Just giving the agent your departure day alone may not be enough. Finally, tell the agent about all of the extras and excursions that you are interested in, if any. Do you want to spend some time in town? Are you interested in any local historic sites? Are there tourist destinations that you told yourself you just had to see before you left? Often, the agent can set up excisions and outings in advance. You can set them up on your own, once you arrive, but it can be confusing and you might overpay. Putting them into the total trip package is a far easier way to do it. Whenever I travel, my makeup ends up all jumbled up in the bottom of my luggage. Since I used mineral makeup, it's all powder-based and it makes for some very messy makeup containers. The Beauty Butler has solved my problem! It's a very simple, yet ingenious, concept that includes a plastic base board covered with velcro-fuzz and an assortment of velcro-spiked stickers. It will work for any brand of makeup! Whenever I travel, whether it's for a long airplane journey or a short road trip, I just put a Beauty Butler sticker onto the makeup I want to take along and stick it to the Beauty Butler board. Then I place the Beauty Butler on top of my clothes and my makeup stays stuck to the board until I pull it off to use it. No more digging in the bottom of my suitcase for random jars and it even helps keep the powder settled in the containers. It comes in two sizes, the smaller Flirt in 4"x6" and larger "Diva" in 6"x8", so you can choose the one that works best for you, or grab them both and use one in your luggage and one in your daily purse! Check out GetBeautyButler.com and order yours today. It's a great gift for any lady! Order them individually or get a great package deal! Preheat oven to 350 degrees F. Spray cooking spray onto 6-well donut baking pan. Mix together in a large bowl: sugar, flour, baking powder, cinnamon, nutmeg, salt. Mix together in a small bowl: egg, milk, melted butter, vanilla. Pour wet ingredients into bowl of dry ingredients. Fill donut baking pan with batter and bake 15 minutes. Cool slightly and turn donuts out of pan. To make topping, combine sugar and cinnamon in one flat bowl, place melted butter in another bowl. 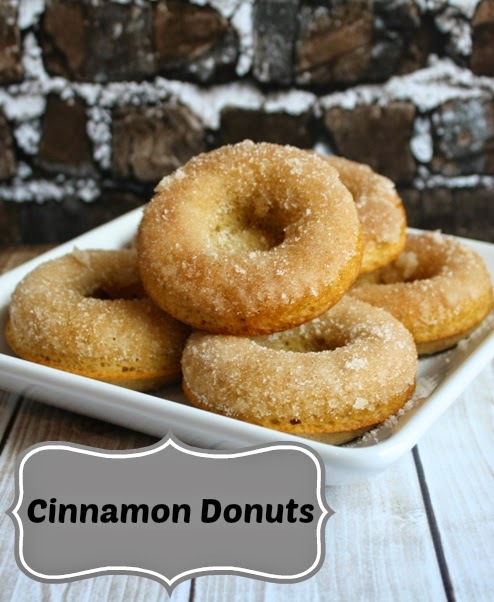 Dip top of each donut in melted butter bowl, then into the cinnamon sugar bowl. Makes 6 donuts. Giveaway ends at midnight on June 30, 2014.